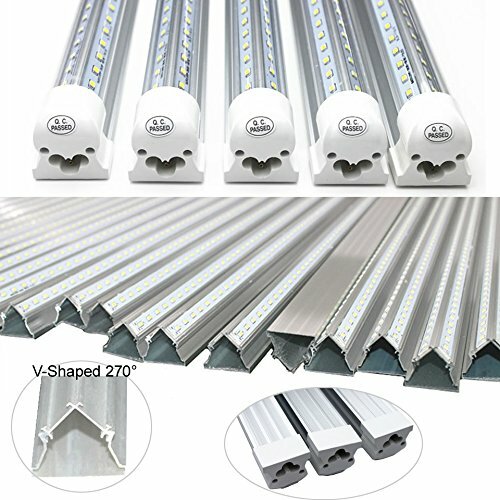 Specification Power: 4FT-36W/6FT-42W/8FT-65W LED Chip: SMD2835 V-Beam angle: 270 degree Voltage: AC85-265V Type: Integrated CRI: >80 Cover: Transparent Color Temperature: Cool White 6000k Material: Aluminum+PC Packing: 25 pcs/ctn. 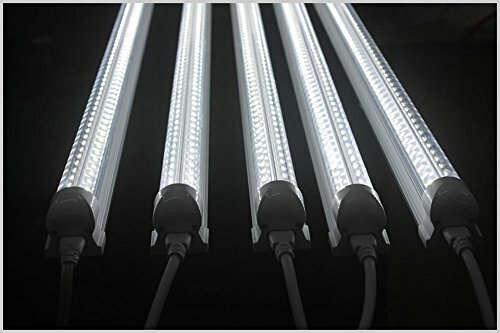 Note: Maximum 3 lights connected together from one powered light. The powered lights power supply may not be able to support more than 3 lights connected to it. This could reduce the life of the lights. These bulbs are recommended for indoor, climate controlled, low humidity environments. 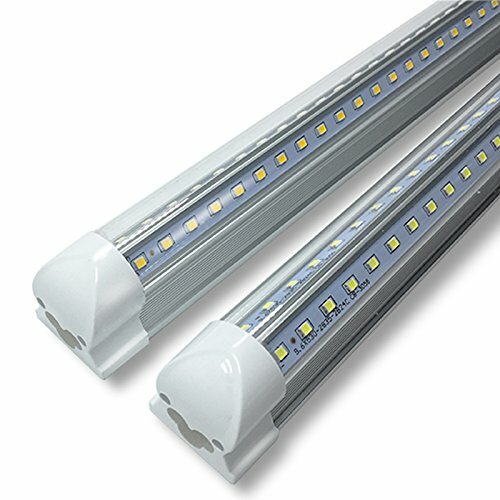 Dual row V-shaped LED gives 270° lighting with no wasted light. Save more than 50% on the electricity bill. 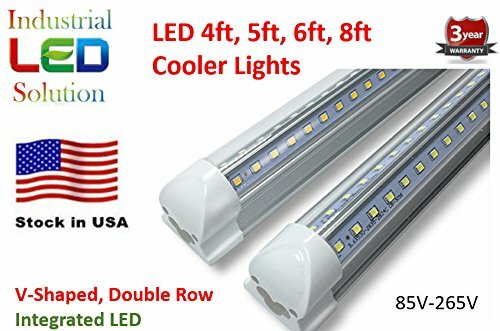 Save 60% of your electric bill by replacing the existing fluorescent tubes with these LED lights 40% more lumens than standard LED tubes with single row. 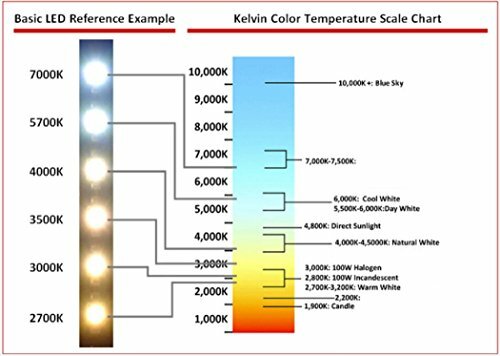 Working temperature -4 to 130 degrees fahrenheit High brightness, CRI over 80, cool white 6000k. Instant on, NO stroboflash and noise. * Note: Maximum 3 lights connected together from one powered light. 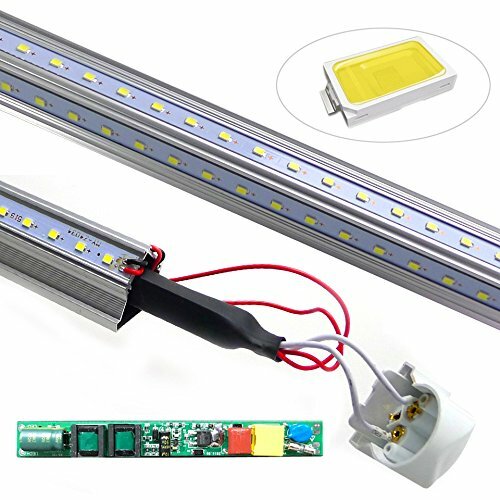 The powered lights power supply may not be able to support more than 3 lights connected to it. This could reduce the life of the lights.